Dress for agility and keep yourself protected with Shock Doctor's Ultra ShockSkin Compression jock shorts with their new, revolutionary AirCore Cup. Designed to provide exceptional comfort and top-tier protection, these compression jock shorts with additional padding inserts will ensure that the last thing you're concerned about during the game in your base layer. The Ultra ShockSkin Compression shorts are made with 4-Way Airflow stretch mesh in key areas for maximum ventilation and range of motion. 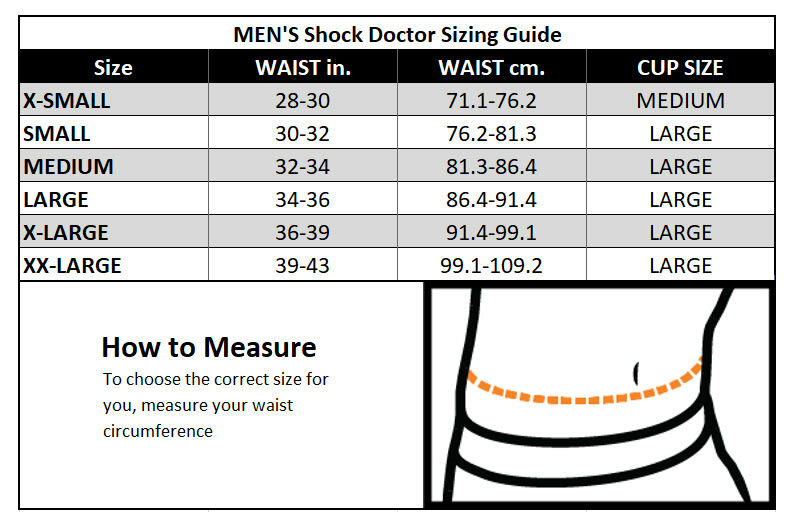 In addition to the stretch mesh, Shock Doctor has made the shorts with a Bio-Shape design which moves naturally with the player's legs in the skating motion, meaning zero restriction when you turn the jets on and blast down the wing. The comfort fit waistband is designed to wrap snuggly around your body without constricting you, providing exceptional levels of comfort. 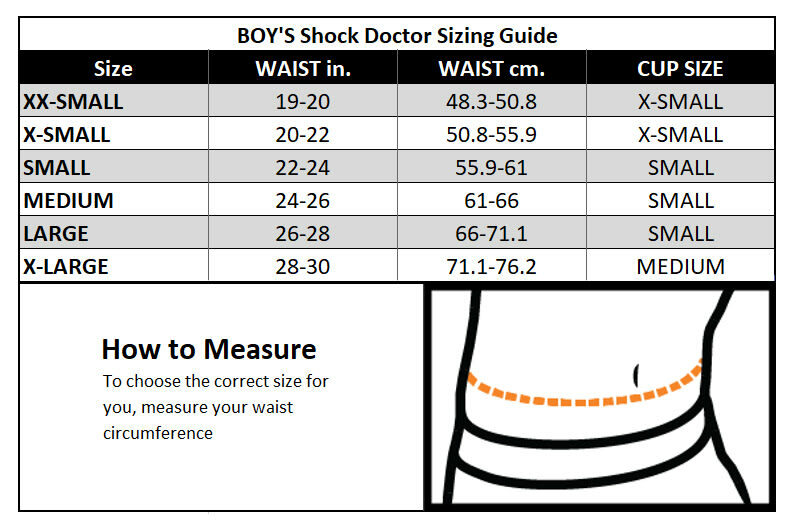 To supplement the protection offered by your regular hockey pants or girdle, these shorts feature Shock Doctor's ShockSkin protection in the hips. This additional layer of protection moves with the shorts so you will not be held up by the bulkier padding that traditional base layer shorts don't have. Matching the high levels of comfort are the stratospheric level of protection Shock Doctor has included in their new cups. The AirCore Cup is designed to provide equal protection to standard cups but sheds some of the weight, in turn allowing you to get from red line to red line faster. The cup is made of three layers of padding; one rigid, co-polymer layer sandwiched between softer but protective layers of compressed foam and fabric. This cup is housed in a newly-designed ultra comfort cup pocket, which holds the cup in place without restricting your natural movements on the ice. Material: 4-Way Stretch Mesh The fabric of which this product is made. Sock Attachment: Yes, Velcro Does the product feature sock attachments?